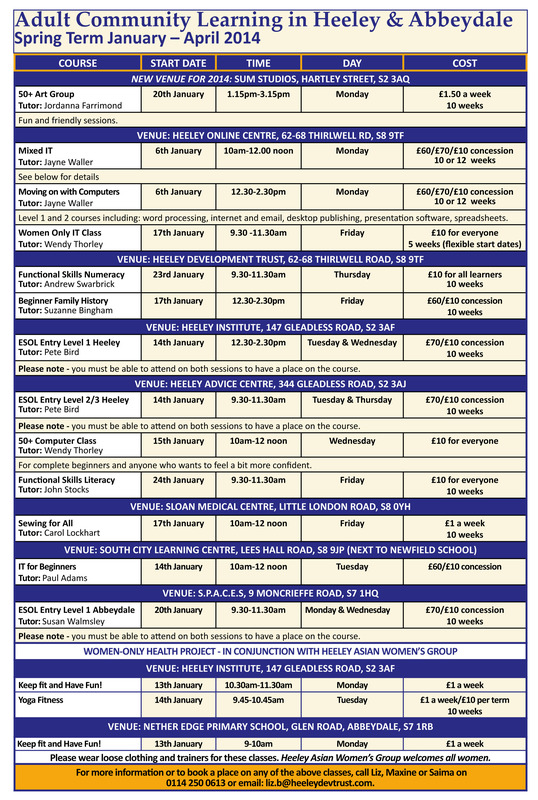 New Heeley Voice – December 2013 – Issue 59 | IT'S HAPPENING IN HEELEY! There’s been progress at Sum Studios, with work starting on the remaining 2 derelict buildings, Recycle Bikes have launched a new DIY ‘Bike Kitchen’ in Attercliffe and the Sheffield Antiques Quarter kick off their crowd funding campaign to put the Quarter well and truly on the map. The December issue includes lots of articles about local people – hear tales of the fundraising efforts of Team Lightning, the sad closure of Honey Pie Tea Room and how a local lollipop lady is supporting childrens education in Goa. There’s also a review of the 2nd Big Boulder Music and Arts Festival that took place in September plus details of how you can support next years event at upcoming ‘Big Boulder Rolls On‘ fundraising gigs at The Heeley Institute.